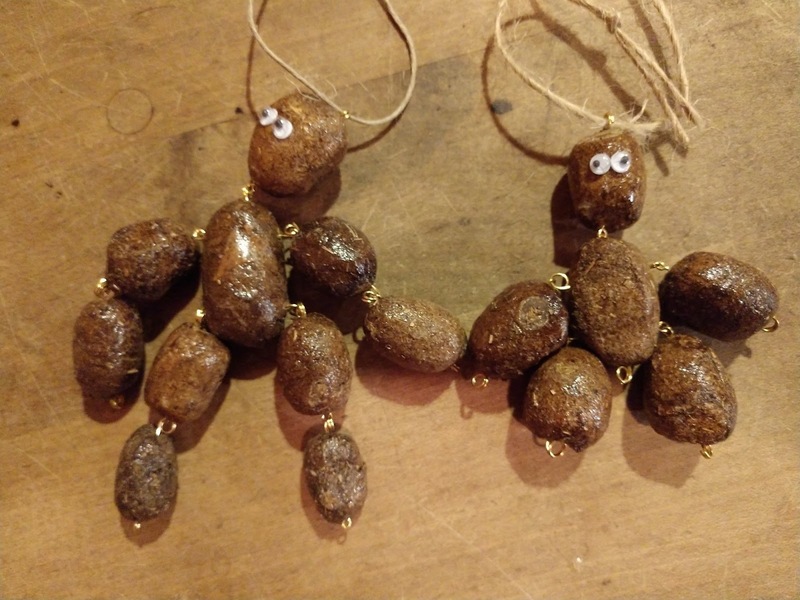 A Maine woman's artwork is going viral thanks to her creative uses of a plentiful natural resource: moose poop. Somerville resident Mary Winchenbach, who came to the Internet's attention after hawking her "Tirdy Works" wares at the Common Ground Fair, is now using social media to sell figurines, clocks and other artworks that incorporate real "Maine Moose Tirds." "Everyone takes a crap," Winchenbach told WABI-TV. "Everyone goes to the bathroom so everyone can relate to that. The terms that I used to name these products are every day terms that people are used to hearing so I just kind of try to combine the two to come up with something halfway decent that's funny." "For example the first off we make now instead of a cuckoo clock this is a Poopoo o'clock. We took them turds and we cram them in between the number there so there's one turdy - two turdy- three turdy," she said. Winchenbach said all of her Tirdy Works are sourced from local feces.